There’s a foodie paradise tucked away on a quiet street in Westfield, Indiana, just east of US-31 and State Road 32. A collection of local restaurants has sprung up on Park Street, affectionately called “Restaurant Row.” Together, these eateries have made Westfield an up-and-coming culinary destination. 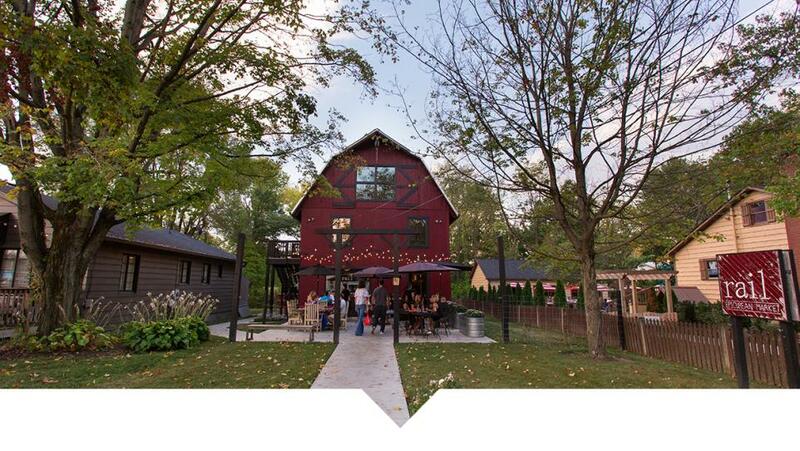 Owners Toby and Melanie Miles transformed a forgotten red barn into a farm-to-fork restaurant, Rail Restaurant & Bar. The menu features local meats, cheeses and produce and showcases what’s in season in Indiana. Yelper Emily S. says, “I&apos;ve been all over the world and this place ranks up there.” The fresh sushi rolls are the star of the menu at Chiba Indy, including California rolls, sashimi and veggie tempura. On a brisk night, dine outdoors on the heated patio. You can’t go wrong with a classic Italian meal of lasagna or spaghetti and meatballs. The Italian House on Park keeps the menu traditional, focusing on quality ingredients. Pair your pasta dish with an Italian Margarita or The Bees Knees, a cocktail with gin, lemon juice and honey syrup. Don’t forget to order tiramisu for a sweet treat to end the meal. Restaurant Row is close to Grand Park Sports Campus, perfect for visitors in town for sports tournaments. Other food options include Super Bowl Pho, serving classic Vietnamese food like bahn mi sandwiches, and Big Hoffa’s Smokehouse Bar-B-Que, known for their finger-licking barbeque meats. Grab a pint or a tenderloin at Grand Junction Brewing Company&apos;s two locations in Westfield. Keep an eye out for Field Brewing and Big Woods Restaurant & Brewery, both opening in 2018.